Tom Wilde is a sports journalist that graduated from the University of the West of Scotland in 2014. He regularly contributes to some very popular sports websites and has a keen interest in many sports; football especially. “As someone with a great love for sport, the issue of sectarianism is one that is of great interest to me as well as others in the field of sports journalism. It’s very divisive and has some very negative effects in this country, which is sad to see. It’s great to see North Ayrshire Table Tennis taking a stand on the issue and trying to do their part to help solve what is unfortunately still a big problem in Scotland. NATTC has an excellent record of coaching children in the local area and this is where I feel the work should be done to tackle sectarianism. I believe that education is key and this is an area in which NATTC and its coaches excel. 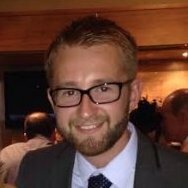 I am very proud to have been asked to help contribute to NATTC’s anti-sectarian project and hope to be able to play my part in what is a very exciting campaign.“ Tom will be contributing to the blog section of the site and will aim to provide engaging content about the issue of sectarianism. This entry was posted in Sectarianism on 12th March 2015 by Chris Main.